We offer a more efficient path to publication as compared to the agented – old-style publishing route that often leads to a long cycle time to market and the possibility of a good story or work never making it to publication. Contact us if you have questions about our publishing services. We have the capabilities of any traditional publisher to bring stories from the manuscript stage to a finished reality as a book (produced in all formats). For clients, we can also take a project from idea and concept only to a fully developed, written and published book. Unlike traditional publishers, we do not limit our interests to only those books written by the famous, proven bestselling authors or celebrities with a large, established audience and market. 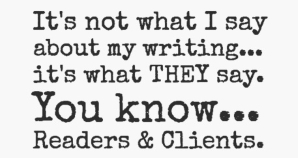 We have titles and authors that sell well commercially and others–that fulfill our author and client’s personal objective–that don’t. So, a book does not need to fall into the category of a ‘guaranteed’ bestseller before we consider it for publication. Many books that merit attention… that deserve to be published… are overlooked or dismissed out of hand by many traditional publishers. And this is understandable because of the economics of their business model. We, because of our business model, are able to take on the types of titles they won’t consider. That does not mean we’ll publish any book. There are quality and specific topic standards we use to select who we work with and the projects we undertake. A quicker path to publication (and market). Publication of books of comparable/equal quality to any traditional publisher (including book design, cover, and interior). Sales channel availability to booksellers worldwide and fulfillment of retail orders through our distributor, Ingram. Direct sales fulfillment of volume wholesale orders to organizations (which for some of our titles are consistent buyers). Production capability without the necessity for capital investment in large print runs or need for warehousing and logistics expense. Sales and Royalty Quarterly Reporting (with royalties paid monthly). 1) Standard Publishing: We consider this if the topic and author has an established audience and a clear market demand of a defined size and we think the book is commercially viable. The author must have a fully developed promotion and marketing plan (including an adequately funded budget) that they will execute to create visibility (leading to sales) for their book. This plan must be acceptable to us and we monitor and gauge the performance of the plan. The author must present us with a clean and completed manuscript for our consideration (*see more on this below). Contact us for details. 2) Publishing Assistance: This is an option we offer prospective authors and clients if their audience has not been established, their book has a limited market or if we are unsure of the commercial viability. It’s also applicable if the author is not interested in commercial sales or has limited ability to promote and market their book but wants to get it published or if the book is for family or organizational legacy purposes There are costs involved for this type of assistance (contact us for pricing). Some authors may also choose to go this publishing assistance route to expedite (shorten) the process due to time to market urgency or in exchange for a higher royalty payout and to retain more rights to the published work. 3) White-label / Private-label / Branded Publishing Services: We can provide the publishing backbone and infrastructure for organizations and individuals with a commercial (retail and wholesale) audience to create additional revenue streams and benefit from their own publishing imprint. Contact us for details. 4) Self-Publishing Assistance (including a project management option): Technology and market acceptance have developed to a degree where self-publishing is a viable and in many ways attractive option for authors. We know all the ‘ins & outs’ of how to publish and more importantly how to use the tools of the trade to help clients self-publish. We can provide a complete turn-key a la carte solution comprised of story development & writing assistance, editing, cover, and interior design (for print and eBook versions). Everything needed to take their work and turn it into a properly formatted file(s) for self-publication. Contact us for details. For Self-Publishers and Organizations who want their own publishing brand: We can develop your manuscript and then coordinate and manage all stages to turn it into a publication-ready bookblock and cover for submittal to self-publishing services like Amazon or IngramSpark. Contact us to coordinate a call appointment and I can answer questions and provide details. *Our author clients can retain a professional editor of their choice to edit their manuscript prior to submittal to us or we can provide a full suite of editing services (including rewriting and developmental editing of drafts) to make their manuscript acceptable to present for publication consideration. All other publication related tasks are handled internally: Book interior and cover layout and design, ISBN assignment, print, and eBook production file preparation, entering the title into our distribution and sales channels. As with virtually all publishers in today’s business environment, unless the author is a proven seller with a track record, or famous (or infamous) with a ready-to-buy-their-book audience… authors bear primary responsibility for promoting and marketing their book(s). Each prospective author/client’s work requires our manuscript review and approval. We don’t accept all stories and manuscripts presented to us — even for our publishing assistance program (something we do not provide just because someone can pay our fee) — we have quality standards that must be met.